This is our second year having a full size Christmas tree, and it's sorely lacking in off the wall ornaments. Mostly what we have on the tree are a plethora of decorations I had as a kid, and while I love them and they have meaning for me, I think it would be nice to have a tree decorated with things that mean something to both of us. We do have two Green Lantern themed cross-stitch ornaments I made last year, so we're getting there. 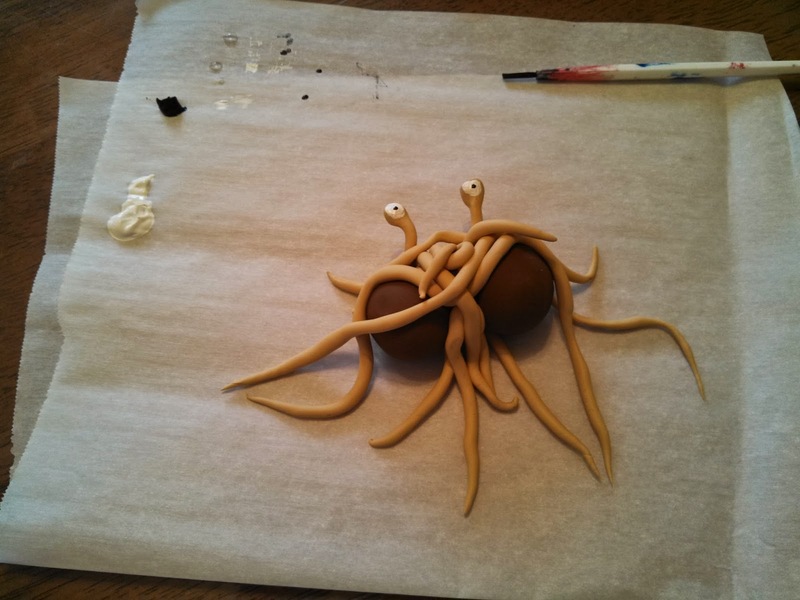 But we're still missing something that honors his Noodliness. I am speaking, of course, about the Flying Spaghetti Monster. So, we picked up two packages of Sculpey. I used ecru colored (Premo!) 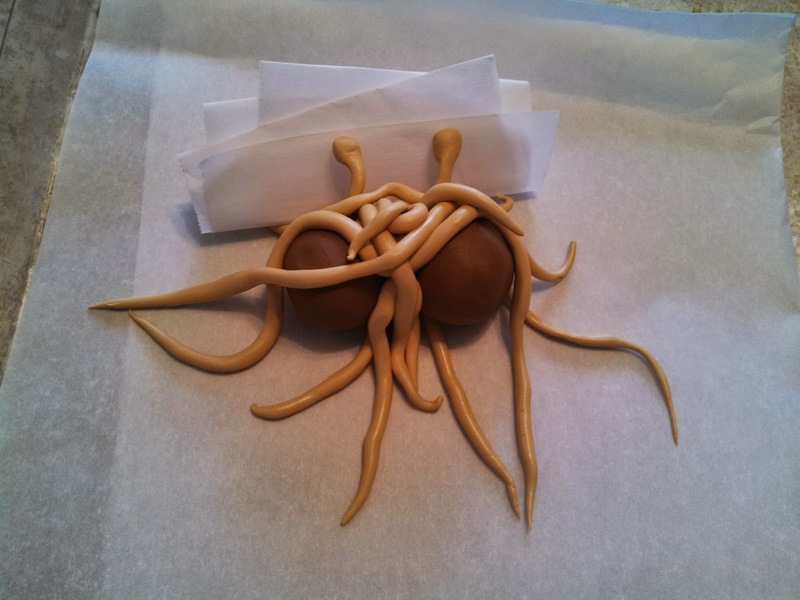 for the noodles and hazelnut for the meatballs. 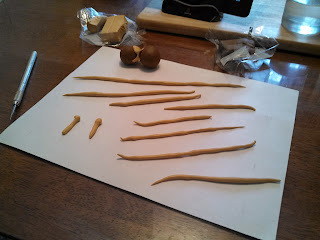 I ended up using half the pack of hazelnut for the meatballs (so two bars) and about a third of the ecru for the noodles. I did create a little bridge to hold the meatballs together before threading the noodles around the base of the ornament. Assembly took about 10 minutes, maybe 15, which is a lot less that I would have thought. I set everything up on parchment paper, even using a bunch of it folded under the eye stalks for extra support. I didn't want them falling backward while baking in the oven. I also created a little loop in the center noodle for a hook or string. 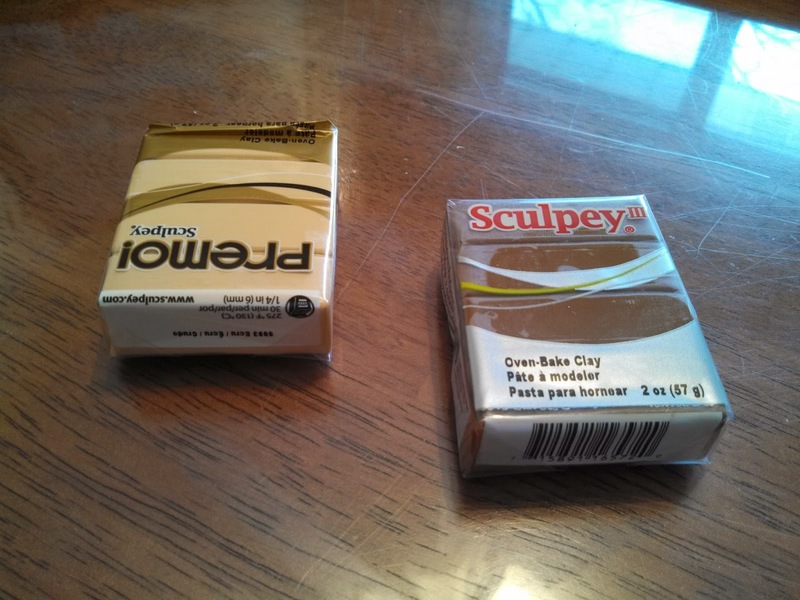 After baking for about 30 minutes at 275 degrees Fahrenheit, the sculpey was hardened. 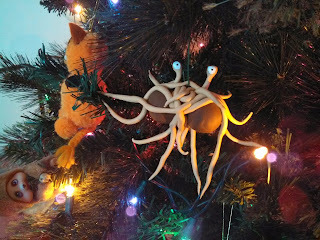 ...and adorned our tree with his noodliness once the paint was dry! 1739/365 - Pen Pal Package! 1736/365 - Ready For Tomorrow! 1735/365 - Awesome Gift of Baking Supplies!